I been working with Ashley 2269 a bit lately. Perhaps to excess. In any case, it is an interesting flat knot. It is 1 or more hitches (loops) crossed by 2 bights. The resulting knot may be doubled or tripled to make the mat larger. More than triple is hard to work with as the 3 parts stay flat but 4 or more do not. The weave of the knot holds the two edge pieces down and one in the middle will stay fair. But if there are two or more in the middle, tension becomes critical and one or the other of the strands will rise up and be difficult. Tripling is about the limit. I have made about half-a-dozen of these mats as gifts for use as table hot pads and such. 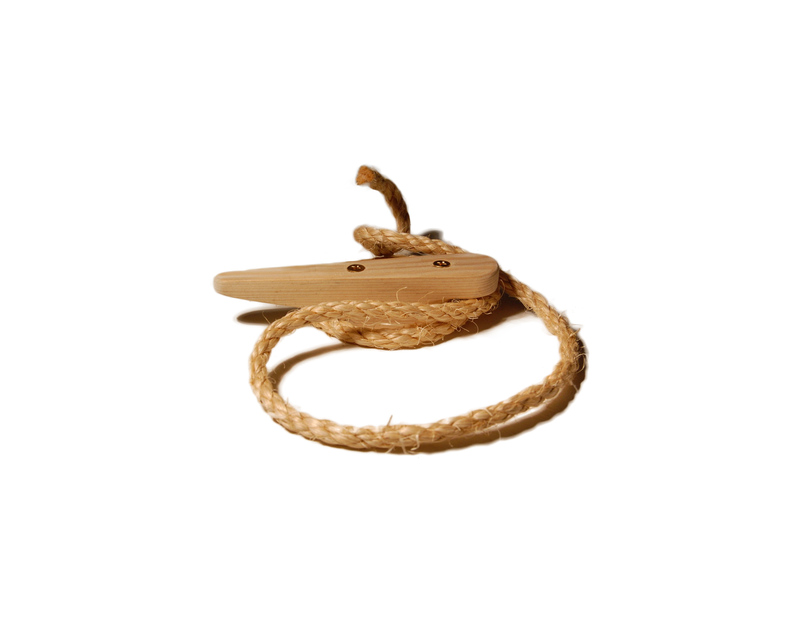 I have tried a number of combinations of hitches and a couple of different sizes of rope. Using manila or sisal will provide good heat resistance. Using twisted nylon will give a lovely white mat which is fairly soft. Nylon melts at about 350 degrees so may not be best for a hot pad. 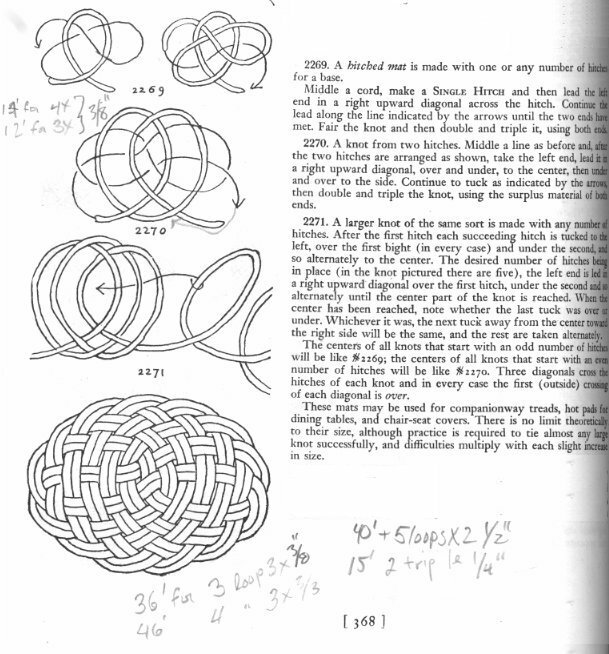 Nearby is a thumbnail of the page from my ABoK where I have made some notes. 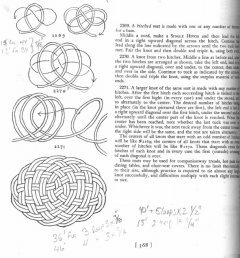 The knot is fairly easy to make. If you have trouble with the hitches flopping around, use some masking tape at the top and bottom crossings to hold them open and in place while you lead the bight across and back. The first pass across and most of the way back seems totally counter-intuitive. The knot does not get engaged and woven until the second half of the coming back and then completes on the final crossing. Pay attention to the difference between even-numbers and odd-numbers of hitches following Ashley’s advice as the crossing in the middle of the knot is different. Once you have gone through the knot, follow the other line exiting the knot all the way through going over or under wherever it goes over or under in parallel. Repeat for tripling. Once the line is doubled or tripled, work the knot up to remove the excess, make the hitches rounder and the bight elongated. Allow a foot or two of extra line to make adjustments. Whatever you work out of the slack has to be carried all the way to the end. I tend to work in only one direction so that means 3 times around. If you figure out where the middle is… When you get it all worked, hide the ends underneath, whip the ends, cut them off neat, stitch them down and the top will look endless.